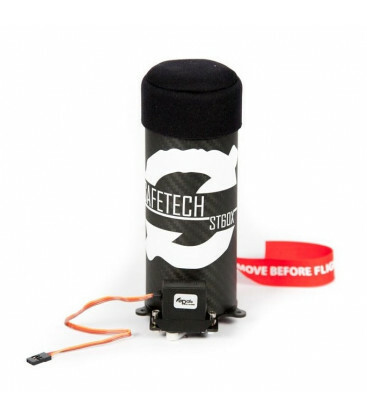 This parachute kit (launcher + parachute) is made of ultra-light carbon and is designed for drones up to 4.9 kg. It reduces the impact energy to less than 69 Joules and thus complies with the regulations of certain countries, such as France, where the impact energy is limited. 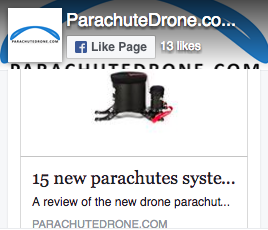 This is the latest addition to Opale Paramodels line of drone parachutes. An innovative model, especially for its low weight and new ejection system. 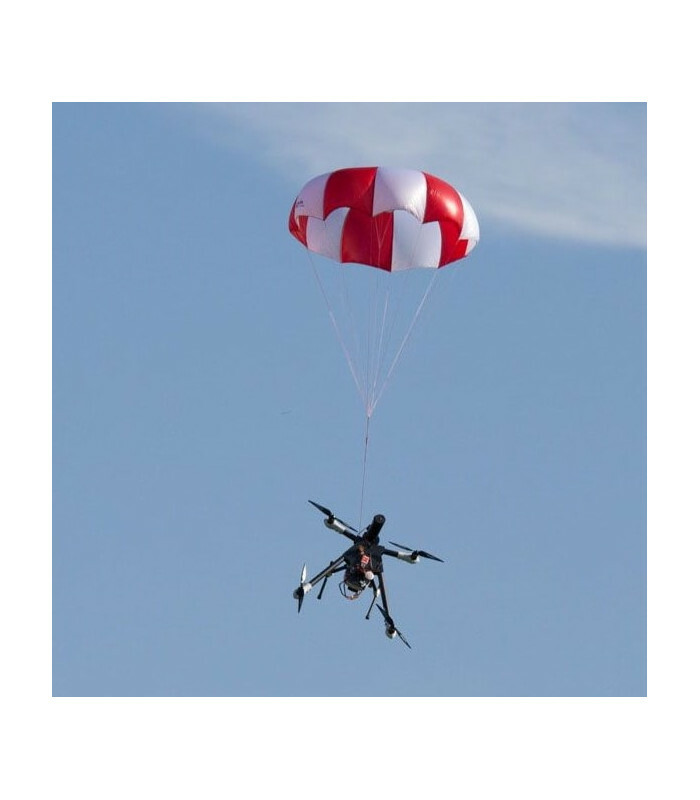 This new system ejects the parachute in a fraction of a second to a distance of 3 to 8 meters. This system has the particularity of not applying permanent pressure to the parachute, which guarantees safe ejection, ultra-fast deployments and reduced wear without the need to fold it up regularly. The lines are made of aramid and kevlar which allows to support a load of 300 kg. The fixing straps and lines are designed so as not to make knots, which prevents tangling and extends their life span. The parachute is also made of high quality materials. It uses the same materials as those used to manufacture parachutes for ultra-light motorized aircraft. To reduce friction and promote ejection, the parachute is coated with silicon, which also allows it to hold well over time. 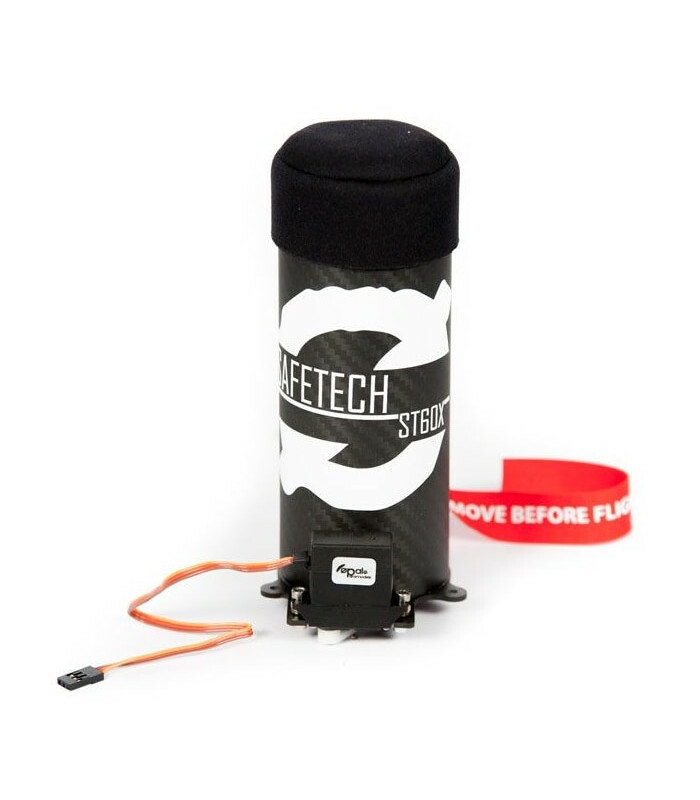 Nevertheless, it remains extremely light with its 32g/m2 (95 grams for the whole parachute). This is often the main reason for using a parachute and is required by the regulations of some countries that impose a maximum impact force not to be exceeded. On this side, the ST60X does its job very well. It has a new generation parachute with a well thought-out geometry that allows it to slow down the fall while remaining stable (attenuation of the pendulum effect) while remaining ultra-light. 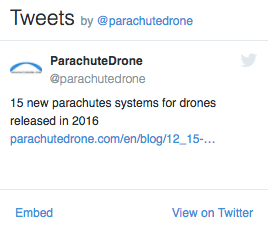 The impact energy of a 4.9 kg drone in free fall equipped with this parachute is thus reduced to 66 Joules. This makes it possible to comply with certain regulations such as in France where the impact energy must be a maximum of 69 Joules. A particular effort has been made on these two points and that is why the ST60X does not use a short-circuit fuse blow-out system. This eliminates the need for additional batteries and reduces the risk of fire. In the same concern of simplicity and safety, this system does not use any pyrotechnic system, which facilitates maintenance and avoids the risks associated with highly compressed gases. 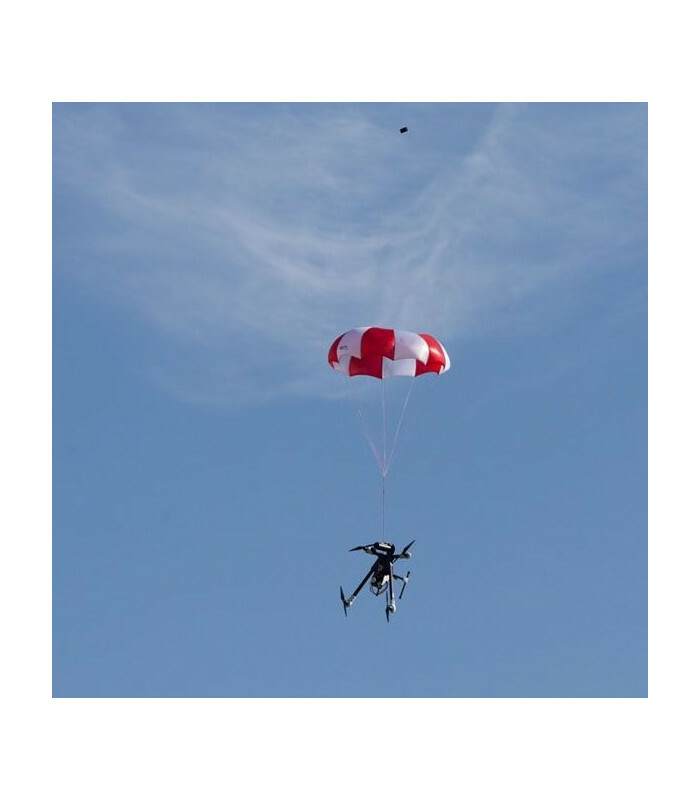 Finally, since the parachute is not under constant pressure, its lifespan is extended and its deployment is even faster. 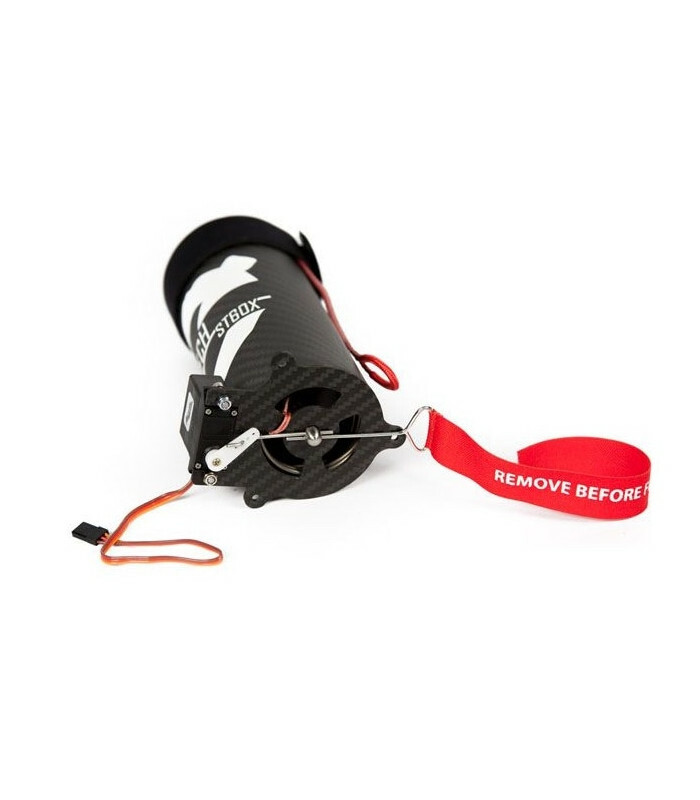 Launcher diameter (in millimeters) 60mm / 2.4"
This user’s guide includes all the information you need to assemble and use your parachute rescue kit. A good knowledge of your equipment will allow you to safely obtain most of its performances. Ce manuel contient les informations dont vous aurez besoin pour assembler et utiliser votre kit de parachute de secours.